Utah has an unusual abundance of ghost stories. Haunted Utah is a hotbed for paranormal activity with several organizations devoted to cataloging and researching the ghost stories and creepy tales reported throughout the state. Most paranormal investigators support the claim that ghosts are more common in locations where tragedy, significant emotions and close ties to the land are present. All of these ghostly conditions exist throughout Utah's history. Native Americans tribes were displaced and massacred within the state, and numerous Mormon settlers perished en route to Salt Lake City. This haunted history provides plenty of emotional attachment to the land. Whether these stories are real is up for debate, but they certainly do provide entertainment and intrigue to people who have a great interest in ghost stories from this region of the United States. 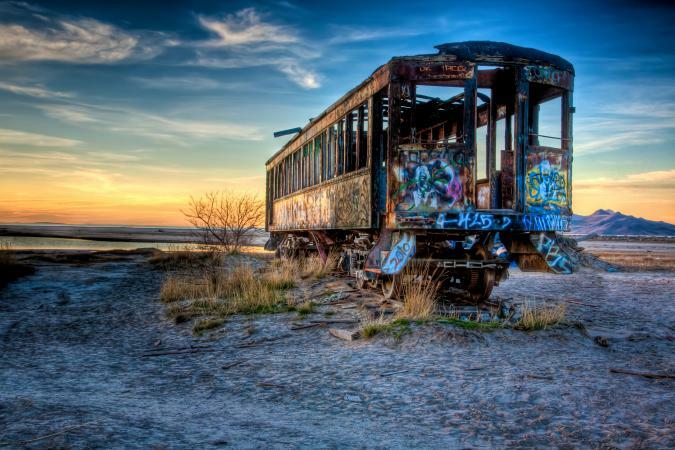 Ghost towns are left behind from when the railroad was first constructed in this state, and many people have witnessed odd sounds and visions in these locations. Some people claim that the ghosts of the people who feverishly worked to complete the railroad system have never actually left the area. 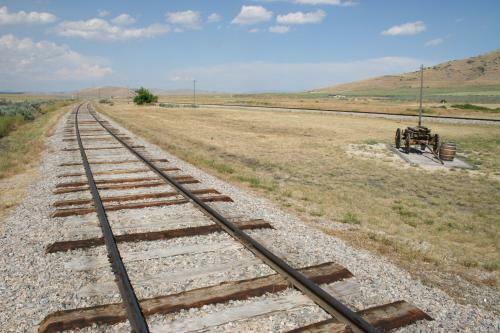 There are even stories of ghost trains zipping through certain Utah locations, in particular near the Golden Spike National Historic Site. Some people claim that the activity witnessed in these areas is a glimpse into the past; others claim the ghosts are spirits of the workers who were killed while constructing the railroad. While it's easier to accept that people have spirits that remain behind, how can an object like a train reappear in ghostly fashion? What is now referred to as Highway 191 used to be designated Route 666. There were no demonic connotations intended when this particular stretch of road was named; it was simply the sixth branch of the famed Route 66. Not only are ghosts spotted along this highway, other evil apparitions have been reported as well. Tales are told of ghosts that appear on the side of the road as hitchhikers, and then disappear when the motorist pulls over. Even spookier are the stories of ghosts who suddenly appear in the back seat of cars and then disappear. Other stories from this notorious stretch of road include tales of phantom vehicles and ghostly dog packs that chase cars. Abandoned mines are usually hotbeds of paranormal activity, and the mines in Utah are no exception. Winter Quarters was once a thriving mining town that became the scene of a tragedy when an underground fire in the mine shaft killed nearly 200 miners. Historical accounts claim that due to the magnitude of the tragedy, many of the victims were hastily buried, and their corpses were subsequently misidentified. Combine these elements of sudden, tragic death and misidentification, and there is no surprise that stories of paranormal activity flow from this area. Visitors report ghostly lights moving about the abandoned town, particularly in the cemetery where many of the miners were buried. There are also reports of ghostly voices and moaning heard coming from the mine where so many people perished. A fairly conservative state, few Utah residents like to talk about the rumored ghosts and other paranormal activities that reportedly occur within the state. On the other hand, it's not surprising that such stories are prevalent in an area that has experienced so much turmoil.